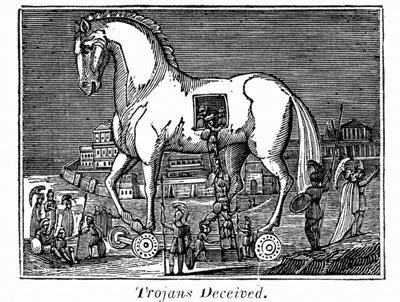 Well, while dropping entrecards on my daughter's computer yesterday an alert popped up saying a Trojan horse virus had been encountered. My daughter has a free version of AVG, and she immediately started running virus scans etc. She's not sure if she got it. So, I'm not going to be dropping many cards. Plus... my father was admitted to a rehab facility because he's been losing muscle mass in his legs (he has parkinson's)... it's getting to the point where we are looking at the need for them to move ASAP to somewhere with 'round the clock help available. This is not going to be easy for them, with their 7 cats and a house they've lived in for 30 years. Be sure to subscribe to my feed or "follow" my blog if you wish to hear what's going on. Otherwise, catch you on the other side of this current crisis. I do hope the move goes smoothly for your father. It is difficult to watch your loved ones come to a point where they can not live on their own. My thoughts are with you. Sorry to hear your going through the wars (Trojan?) on the internet front,Jael. They are such a nuisance. More imporatant, hope everything works out OK for your parents. If you use FireFox, get he NoScript add on. It's what I use and it stops any scripts that you don't tell it to let through. It takes some time to set it up initially to drop cards (since that's a script), but once you get it set up, the pages load faster and you aren't at risk for every stupid script someone downloads and puts on their website. I'm sorry to hear about your father. That's horrible. He will be in my prayers. A trojan horse... AVG also captured some while I was dropping, thankfully it wasn't spreading all over the PC. Wish you and your Dad all the best! The same thing happened to me yesterday! It took me forever to get it taken care of. I wonder what caused it? I'm sorry you're going through so much with your father. I hope some rest will follow. I got a trojan horse with avg too. It was put in quarantine and after that I deleted it. Now I drop slower, so when I catch that site again I'll report it.